For many of us, the advent of the cloud has given us a convenient location to store files that we may need to access on the go. However, the cloud is much more than storing grocery lists and Christmas ideas on Dropbox and Evernote. The cloud has given businesses the means to access all of their data and workflow from anywhere, at anytime, from any Internet connection. While this may mean that you can never truly leave your work at work anymore, it has produced quantum leaps in employee collaboration, coordination, and productivity. This week, we will focus on the corporate giant that truly has small businesses in mind at all times, Google. Google is no longer just your favorite search engine – it should be your go-to destination for small business IT solutions. 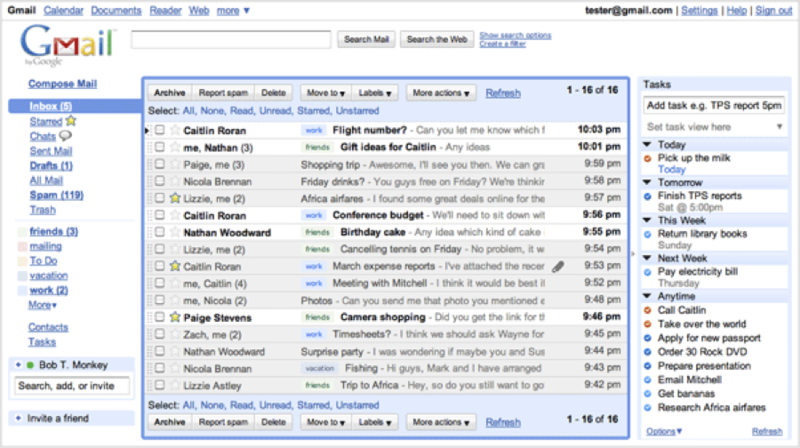 Many of you may already be familiar with Google’s fantastic webmail client, Gmail. However, if you are not also using it for your small business, you need to be. Gmail’s largest asset is that it functions in the cloud. This means that you do not have download or sync your messages to various locations. The inbox will look the same from any location that you access it from. Gmail’s defining difference is that it “threads” conversations. This means that emails with the same or similar subjects are grouped together. This allows the user to see all of the messages sent and received on a particular topic in one place. Every time a new message is received, Gmail “bumps” the entire thread to the top of the inbox, streamlining multi-party conversations by reducing the amount of time a user has to search in their mailbox for past messages. 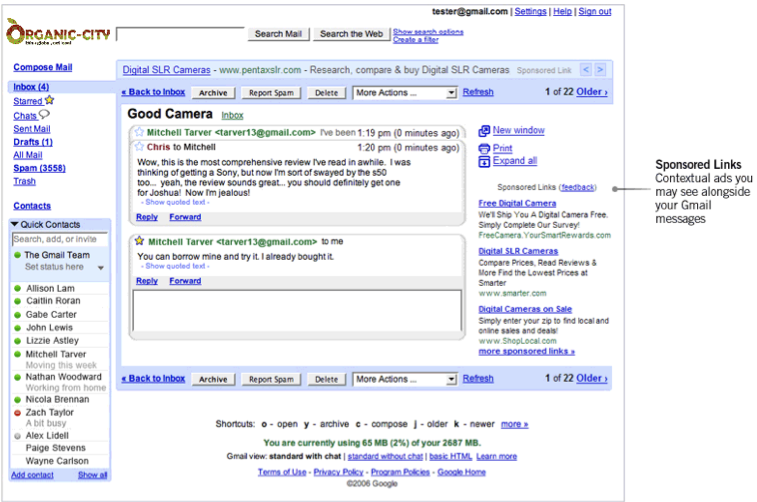 If you do have the need to search for an old email however, Gmail’s built in search browser does the trick nicely. It quickly searches the subject and body of any email that is still being stored on the cloud. Forgotten Attachment Detector: Notifies you if you have mentioned an attachment in your email but did not add one. Undo Send: We’ve all sent emails to the wrong person or made a grievous typo that we wish we could take back. This feature gives a few additional seconds to take that email back. 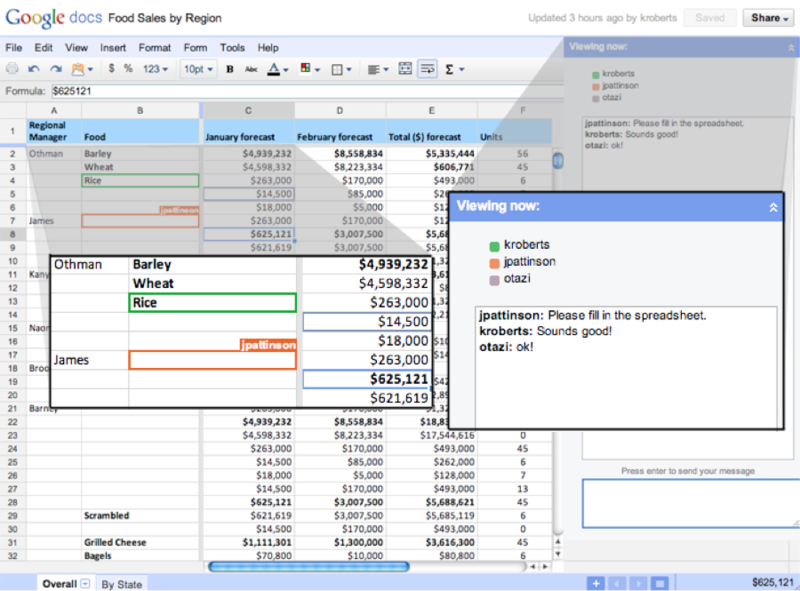 While not as refined and stable as its big brother (Microsoft Office), Google’s own office suite of Google Docs, Sheets, and Slides does provide a viable (if not better) business alternative. What Google’s suite lacks in elegance, it makes up for with online storage, shareability, and collaboration options. In the world of small business, it is rarely possible for everyone to be present in the office at all times. 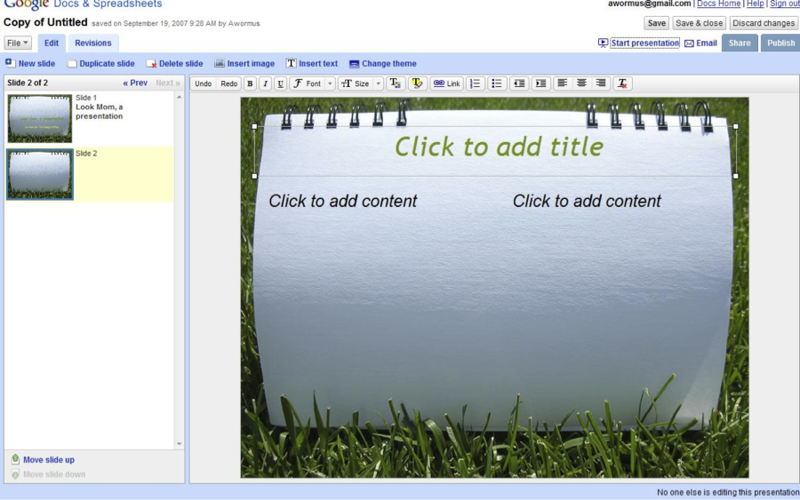 With Google Docs, employees can collaborate real-time on a document anywhere that has an Internet connection. If you do not want everyone to have the ability to edit the document, you can set permissions that allow certain users to view and edit. You may also edit these settings to allow people outside of your office to view and edit if you wish to share with them. If you are like me, you can never turn down any tool that helps you stay organized. Google’s Calendar feature can do just that. In Google Calendar, you can set up sharing and permissions in which you can add other employee’s calendars to your own and they may do the same. 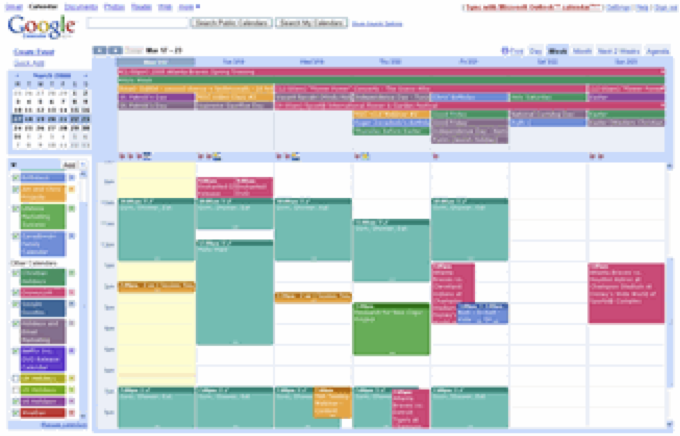 This can become very useful as your employees’ calendars become increasingly complex. 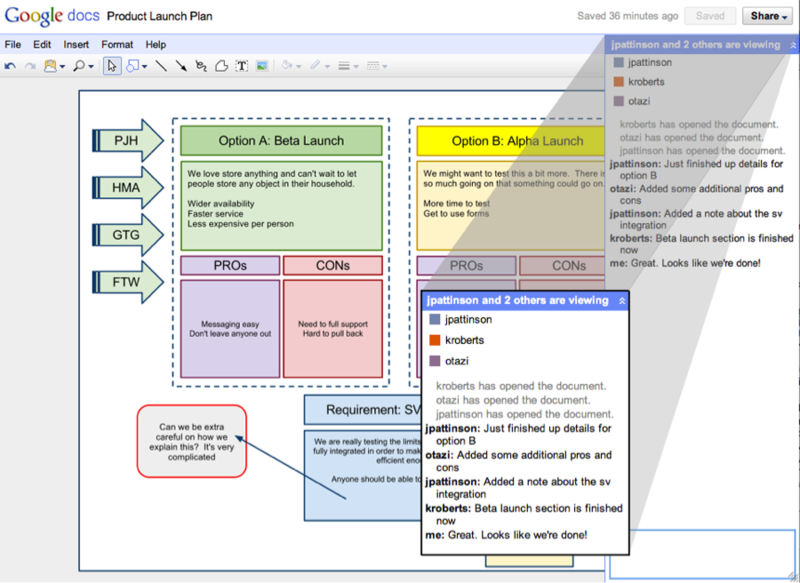 Users may also set up a “master calendar” that creates a color-coordinated table that will auto-update any time a change is made. If you have an important meeting that needs to be scheduled, Google Calendar has you covered there as well. By adding a colleague’s email address to an event on the calendar, your colleague will automatically receive an email asking them to RSVP to your event. After confirming, each employee can view and add notes to the event. 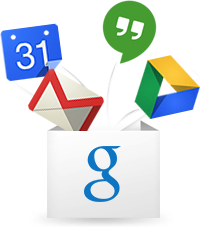 The real time collaboration and ease of use should be reason enough for your small business to make the switch to Google Apps. The fact that you can get all of these features at a cost of $50/user means Google Apps is a cost-effective solution for your business. It saves you the hassle and expense of setting up expensive servers and infrastructure. All of this goes without mentioning that all of these features are mobile. Calendars can be accessed directly from your smartphone or tablet, while documents created on Google Docs, Slides, or Sheets may be accessed by downloading Google Drive (Google’s Dropbox competitor) onto your smartphone or tablet. Google automatically saves all of your documents to Google Drive which adds to the overall ease of use!